VAG CAN Pro can completely replaced VAS 5054A ODIS Bluetooth. Is better that VCDS in all aspects. 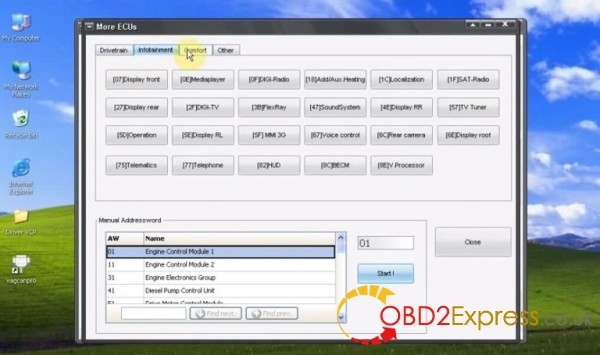 It can do some things that VCDS can’t, OCF will make your life much easier, it takes time to understand how this software works, it still need some fixes, it sometimes gives you headache but it’s definitely worth to buy as second software for VAG after VCDS. It is very good tool for VAG and DGS flash. * OCF new section called "Apps", which is: Download the parameter data, coding for PR-code,BCM, and so forth programmer..
*I’m using VAG PRO cable (VCP+K) for one year now. What I can tell about it? Step1. 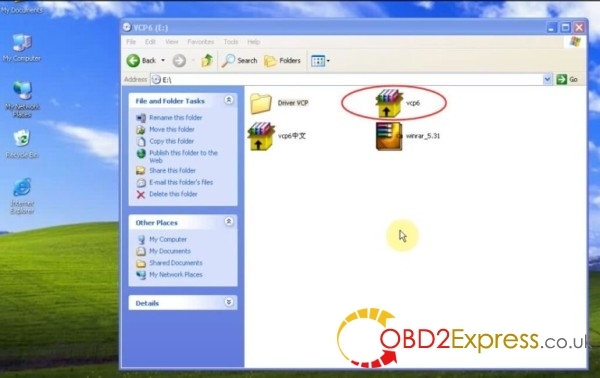 Open DVD-ROM “VCP6 (E:)”, copy “Driver VCP” to desktop. Step2. Open “vcp6” compressed file to decompress it. Now you can right click “My Computer” to “Computer Management” and find USB devices there. Step3. VAG PRO will show “Welcome to the Found New Hardware Wizard” (It’s for VCP), choose “Install from a list…” and click “Next”. Step4. Untick “Search removable media” and tick “Include this location in the search”. Step5. Next click “Browse” and “Driver VCP” then click “OK”, click “Next”. Click “Finish” to complete the wizard. Step6. It will show “Welcome to the Found New Hardware Wizard” (It’s for USB Serial Port), choose “Install from a list…” and click “Next”. Click “Next” then “Finish”. Now you can right click “My Computer” to “Computer Management” and find USB serial converter there. Step7. Now VAG PRO 5.5.1 is installed successfully on Windows XP. Open “vagcanpro” icon at desktop, you can see protocols, languages.